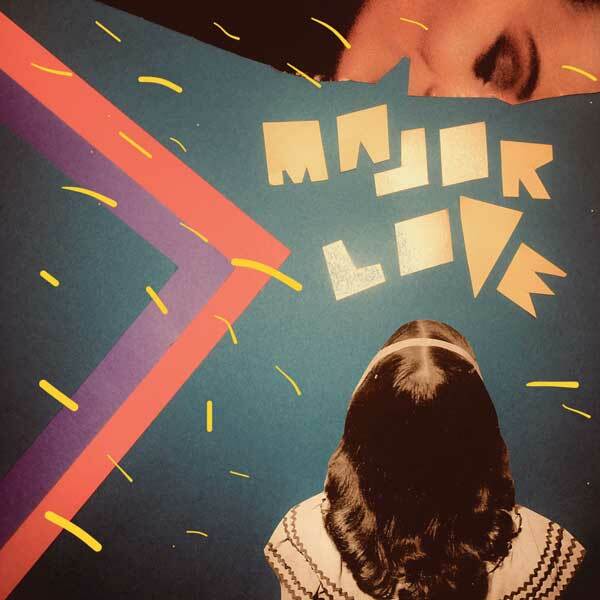 Today, Major Love have announced their debut self-titled LP, due out August 24 via Latent Recordings. Major Love is the moniker of songwriter and multi-instrumentalist Colleen Brown and members of Scenic Route To Alaska, Jesse And The Dandelions, Elijah Abrams, and Aaron Goldstein, who make soulful pop-rock for hosers. With tracks from their self-titled EP “So Good” and “Tear It Down” already in heavy rotation on CBC Radio 2, both making their way onto the CBC Music Top 20 charts, the band is now sharing LP single, “Toughen Up”. Major Love was conceived in the lamplight of London’s Bedroom Bar during Brown’s first tour overseas. Fellow Edmontonians, Scenic Route To Alaska, were also wrapping their first tour in Germany and the UK. The two acts found themselves on the same dimly lit stage in Shoreditch, 7000 kms from their hometown, bonding over an appreciation of vintage Harmony guitars, singalong pop/rock anthems and an affinity for the spacious, soulful recordings released on the Stax and Motown labels in the 1960’s.